A gorgeous set of chairs at a great price. This minimalist transitional piece fits in a full range of environments, limited only by imagination. 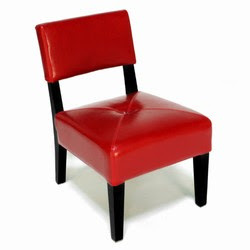 Its tapered wooden legs, tufted shiny bi-cast leather seat, sleek low profile, and elegant shape borders on contemporary and vintage. 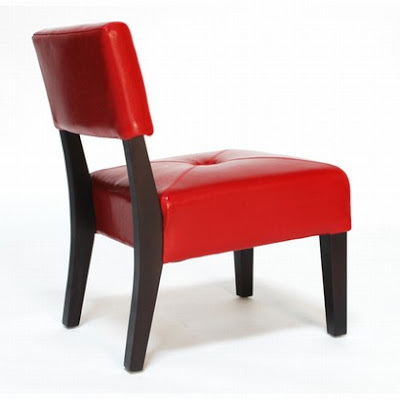 The Melrose Slipper Chair is sold in sets of 2, and features a hardwood birch frame in ebony finish and fire-resistant foam cushioning, upholstered in a leather color of your choice.